I've had a lot of people admire my mug cozies lately and wanted to share with you all the pattern. It's adapted from several similar patterns. I always get out a mug and test the length as I go, but these are approximate lengths that seem to be pretty standard for me. Row 1: 1sc 1dc in second ch from hook, *sk next ch, 1sc 1dc in next ch, rep from * to end of row, ch1 turn. Row 2: *Sk next st, 1sc 1dc in next st, rep from * to end of row sk-ing every other st, ch 1 turn. Rep Row 2 until work measures approximately 7-8″ long. Next row: Sk 1st st, ss in the next 2 sts, 1 hdc in each of the next 4 sts, turn ch1. These four st will make the "neck" of the cozy where the button hole is. Next row: 1 hdc in each st, ch1 turn. Rep last row until button hole strip measures approximately 2″. 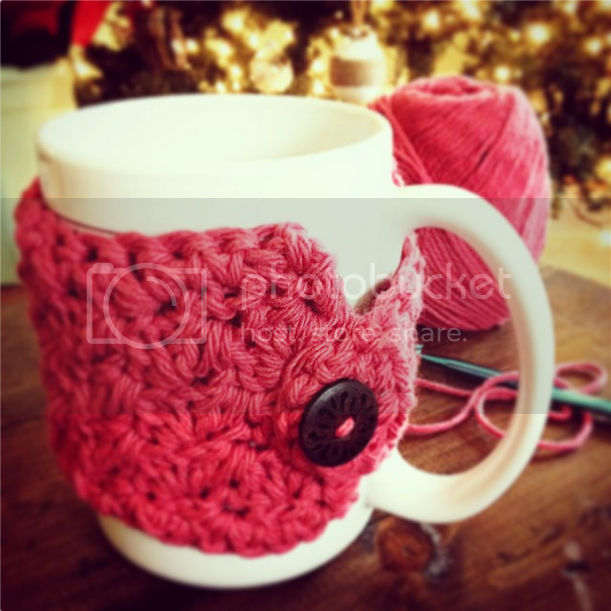 Wrap around a mug to check length. Next row: 1 hdc in 1st st, ch 2 and sk next 2 sts, 1 hdc in last st. Work sc border evenly around, working 3 sc in corners and 3-4 sc into ch2 button hole space. Join with a ss in 1st sc. Fasten off and weave in ends. Sew on button. If you don't know how to crochet, there are lots of helpful videos on youtube! 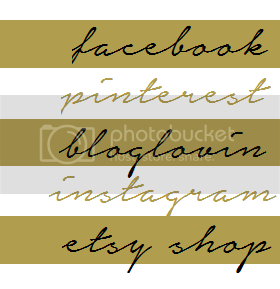 If you don't want to learn or just need some instant gratification, I sell these in my etsy shop. I love the pattern! I only know the VERY basic crochet stitch...It's on my bucket list to truly learn to crochet and have signed up for a class on Craftsy.